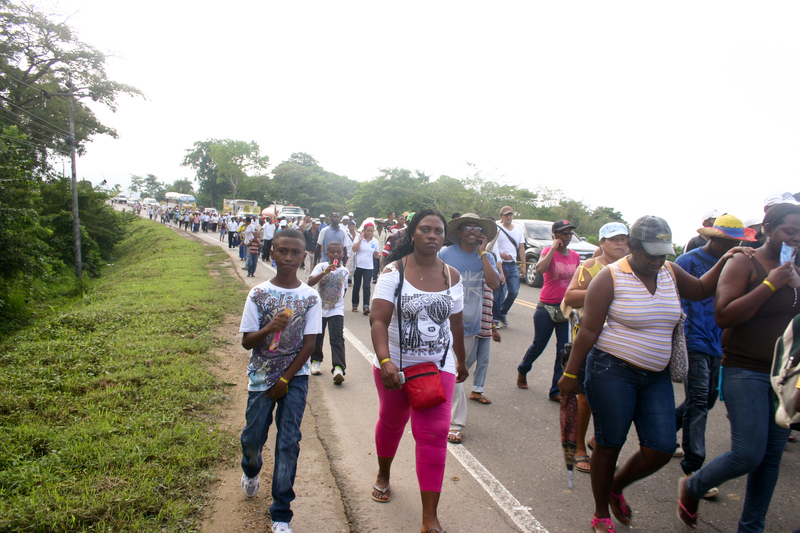 We walked the 73 kilometres to from Mampuján to Cartagena in December of 2011 together to demand the rights of compensation for forced displacement. Then, on August 27 and 28 of 2012, I watched my friends and community members walk forward to receive their cheques of individual reparations. It was a wonderful, indescribable moment to see the tangible results of some of our hard work! We are celebrating a clear example of justice being done in a context where there is all too often no precise evidence. 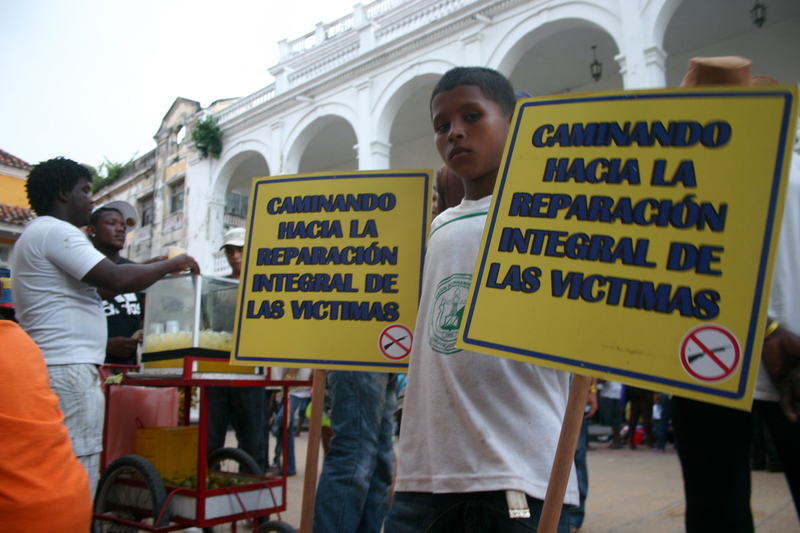 The reparations provide hope not just for Mampuján’s process, but for the justice process as a whole in Colombia. Mampuján is the first community in Colombia to receive a court order under the Justice and Peace Law. The controversial law, by which the paramilitary commanders who ordered the displacement of Mampuján and the massacre in neighbouring Las Brisas in the year 2000 are sentenced, plays an important part in attempting to establish transitional justice here in Colombia. The law’s main role is to aid the demobilization of illegal armed group, through a process of justice and truth. In exchange for confessing to crimes, giving information, and providing access to their resources gained through illegal activities, those responsible for the crimes are promised significant reduction in penalties. The victims receive justice in this process through the state seizure of estates and goods of the accused, which should be used to reparate the victims for damages suffered during their victimization. In the case of Mampuján, the Supreme Court of Colombia has ordered a payment totaling more than $32 billion Colombian pesos (around $15 million Canadian dollars) for the 1,444 victims included in the court order. 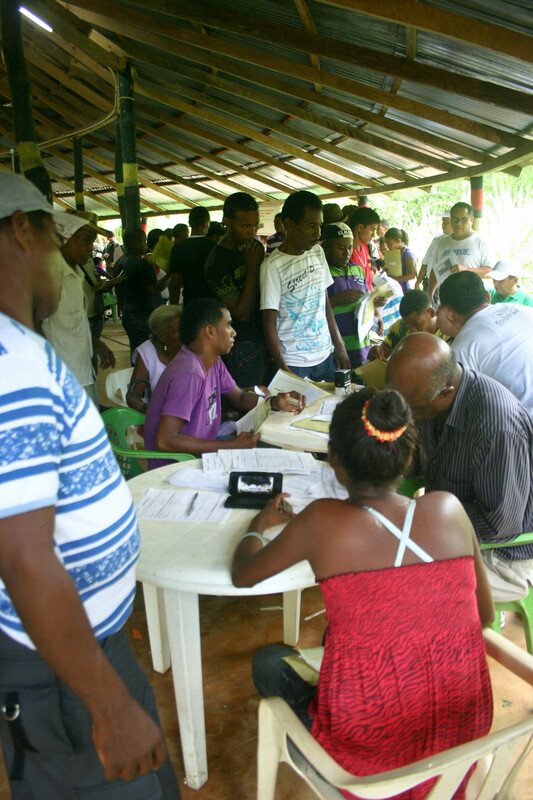 And, in August, around 420 people from the community of Mampuján received part of these reparations, after almost four years of legal processes. The process of receiving this payment has not been easy and there have been many times when we all felt that it was doomed to fail. Besides walking to Cartagena, community leaders have been attending meetings, travelling to Bogota, speaking to Congress, writing letters, talking on the phone, starting petitions, explaining the process, planning events and a myriad of other activities. The community itself has been emotionally exhausted, first being told one date, then another, each time having their hopes dashed. They have gone to meetings, opened bank accounts, been visited by multiple different government bureaucrats, and have often lost faith in the entire process. No one dared to believe that they would be receiving payments until they actually saw the cheques in their hands. However, as exciting and gratifying as this event has been, it is not the end of the story. First of all, only half of the people have received their reparations and so far there has been no date set for the rest. Secondly, there is still much work to be done. The court order not only ordains individual payments, but also collective reparations, including a new school, a health centre, public services, and a return to Old Mampuján, among others. There are also concerns about how people will spend their money and how to manage the evitable changes that will and are taking place within the community. But, with these payments, we have increased hope that the rest will eventually come to fruition and that the community can continue to work together to achieve their desired results. Therefore, we are celebrating and have much to be thankful for; seeing justice take place in a tangible manner after hard work and struggle is an incredible reward that deserves reflection and commemoration. After all, if justice can take place here, where else is it possible? Next postWe are Displaced. We do Paperwork.